John admits he never fully got over the break-up, because their relationship had meant so much to him. 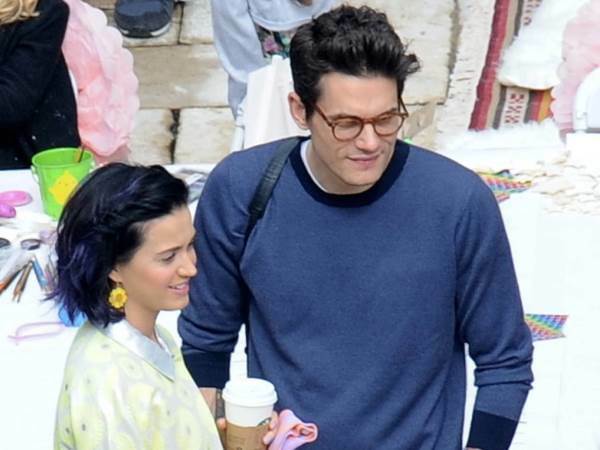 John Mayer cried as he channelled his heartbreak over his split from Katy Perry into his new single Still Feel Like Your Man. In a new interview with The New York Times, the Daughters hitmaker, who is known for his history of high-profile romances, confirms Still Feel Like Your Man is about the pop beauty, insisting it should be pretty obvious to fans. "Who else would I be thinking about?" John asked. "And by the way, it's a testament to the fact that I have not dated a lot of people in the last five, six years. That was my only relationship." The rocker pours his heart out in the track, with lyrics including, "I still keep your shampoo in my shower/In case you wanna wash your hair/And I know that you probably found yourself some more somewhere/But I do not really care." In another line, he sings, "Still like the letters in your name and how they feel, babe/Still think I'm never gonna find another you/Still like to leave the party early and go home, babe/And don't you know, babe/I'd rather sit here on my own and be alone, babe." Still Feel Like Your Man is just one of several break-up tunes on his new project The Search for Everything, and John confesses making the album was a really emotional experience for him. "There were times when tears came out of me, and I went, 'OK, John, this is not about an on-again, off-again relationship. This is something more profound,'" he shared. Since parting ways with Katy, John has tried to get back into the dating game using mobile apps, but he's yet to find someone he's really interested in. "It's just lot of chatter... we all talk to the same people," explained the singer, who has previously dated Taylor Swift, Jennifer Aniston, and Jessica Simpson, among many others. "There are very few people actually meeting up." His current lack of a love life has John feeling sorry for himself as he approaches his 40th birthday in October, because he would love to settle down and start a family. "I wish there was somebody to throw me the 40th," he lamented. "I want the baby with the protective earphones (watching him perform at the side of the stage)." John may still have a shot with his most recent ex as Katy, who has yet to comment on the rocker's revealing interview, is now single again after calling it quits with Orlando last month.